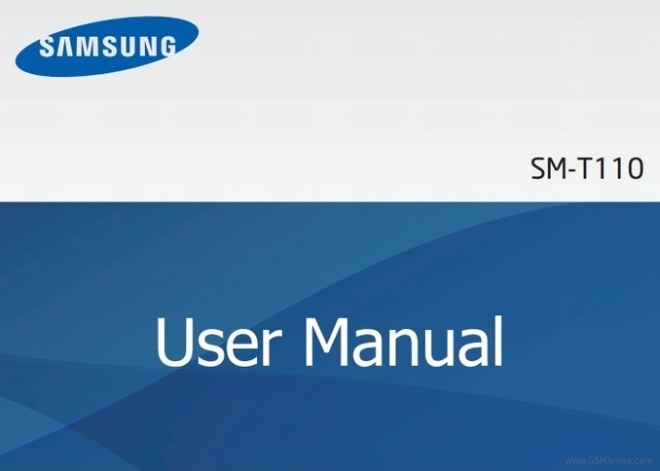 The user manual of a yet-to-be announced Samsung tablet has surfaced on the company’s website. Samsung’s Polish website has listed the user manual of the Samsung Galaxy Tab 3 Lite with the model number SM-T110 that is said to be the Wi-Fi variant of the upcoming slate. According to the manual, the Galaxy Tab 3 Lite will sport a 7-inch display with a resolution of 600 x 1024 pixels. The tablet will be powered by 1.2 GHz dual-core Marvell PXA986 processor and the Vivante GV1000 GPU. The slate will feature 1 GB of RAM, 2 megapixel rear camera and 8 GB of internal memory with the ability to expand it via microSD card slot. The Galaxy Tab 3 Lite will run on Android 4.2 Jelly Bean operating system and pack a 3,600mAh battery. Lastly, the mid-range tablet will measure 193 x 117 x 9.7mm and weigh about 310 grams. Meanwhile, a Polish retailer has already starting taking pre-orders for the Galaxy Tab 3 Lite. The Wi-Fi model of the tablet is said to be priced at $165, while the 3G variant will cost you about $263.